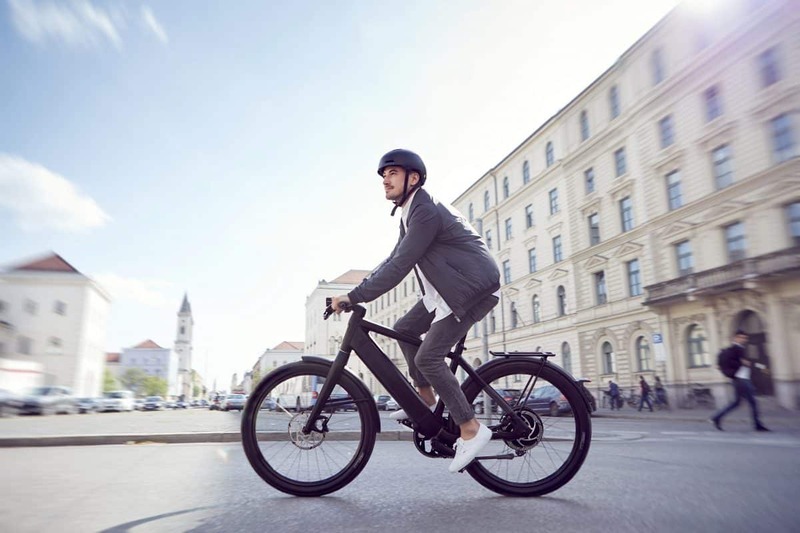 The Stromer ST3 is a cutting-edge electric bike that offers abundant technological features. 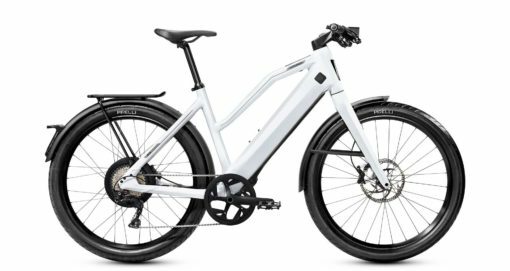 The ST3 surpassed our expectations and we believe this to be the ultimate e-bike with awesome technology, superb riding performance all while keeping rider sfety front and centre. We encourage you to Take a Test Ride! 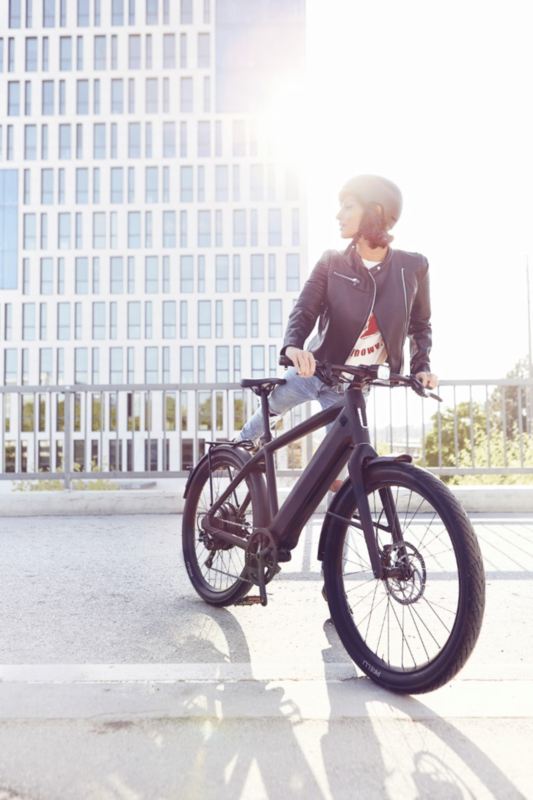 Hop on, pedal, glide – dynamic, powerful and silent. That’s how you drive to work these days. It’s what the ST3 is made for. 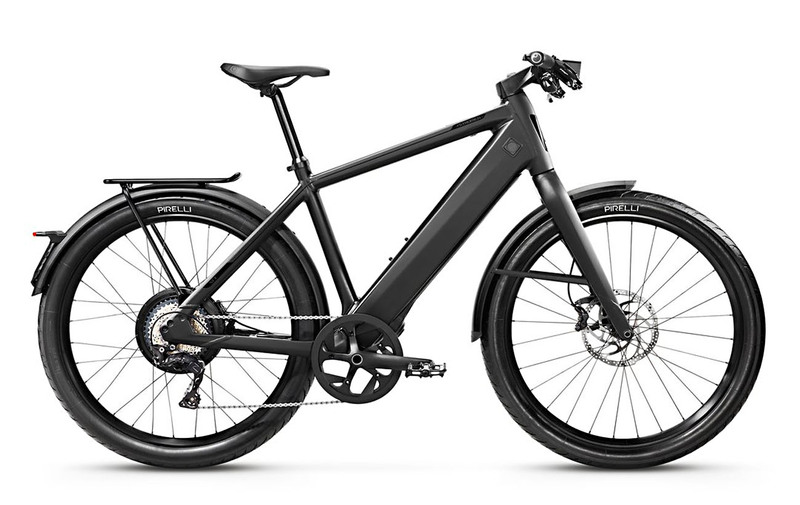 The newly developed SYNO Drive ll 820W motor delivers a powerful assistance from the rear hub with a torque of 44 Nm. The ST3 draws its energy from a large 983wh battery with a range of up to 180 kilometres. The fully integrated battery also reabsorbs the released braking energy (recuperation), which can extend the range significantly. 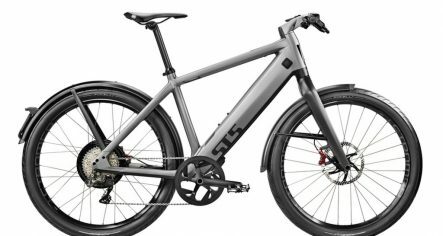 Short chainstays, short wheelbase, low bottom bracket: all this and more makes the ST3’s frame geometry ideal for the needs of commuters and perfectly matched to the e-bike’s 27.5” wheels. 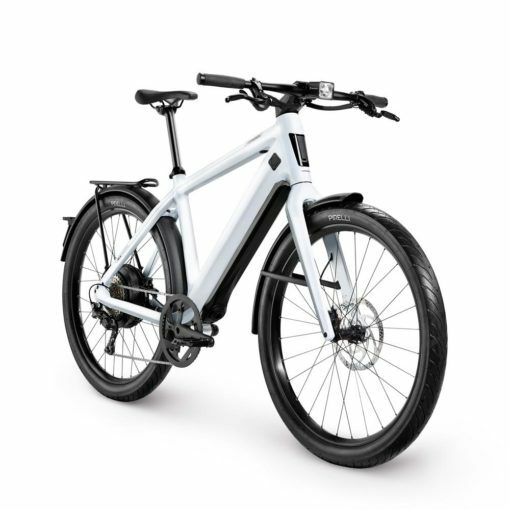 It rides smoothly is comfortable and surprisingly nimble – a must in busy city traffic. The ST3 not only makes your daily journeys fun, it also gives you an extremely safe ride. The outstanding grip of the Cycl-e ST yires from Pirelli, the specially designed LED front light with headlamp function or the Stromer brake system with four pistons at the front wheel and two pistons at the rear wheel ensure this high level of safety.